What If Forget Android Lock Screen Pattern? Home> Resource> Android Backup> What If Forget Android Lock Screen Pattern? In such a time when there are a lot of developments in the phone technology, the security of your phone is well taken care of. Android secures your phone's content through passwords, screen locks, security locks and patterns and the thumbprints and sensor. When this is the case, it is not a wonder to forget the lock screen pattern, especially when operating more than one phone. This makes your phone irrelevant and you may need to complete a number of functions to solve the problem. This article will help you understand when you should set up the android lock screen pattern, what to do when you forget it and an alternative application of securing your apps. When you have a lot of things to handle, you may forget the Android lock screen pattern of your phone. This is the worst thing that can happen to you. It may also be hard for you to complete calls and other important functions of your phone. Then, how to access the phone when you forget your Android lock screen pattern? What To Do If You Forget The LockPattern of Your Android Phone? More related: Disable Android Lock Screen, Save HTC contacts in CSV. If you have the screen locked but can access your Google recovery account, click on forgot the password. This will take you to the screen and you will only use the Google account username and password. Through this, you will not lose any data. If you do not have the Google account connected to your phone probably because you bought the android phone as a second hand or you did not have interest, you can only solve this by resetting factory. This requires you to have a backup of the files by connecting your phone to the PC and conducting a backup. You can also flash the phone after the backup and have the phone freed from the lock security pattern. In case of losing data from your Android phone, we kindly suggest you backup your Android phone to computer from time to time. That's where the MobiKin Assistant for Android or Assistant for Android (Mac Version) come in. This is by far the best program used in managing Android devices. 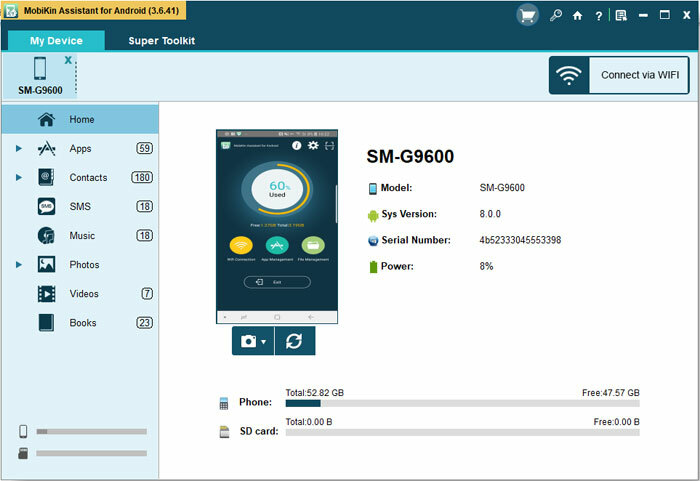 It allows you to backup all the content of your Android phone, including contacts, text messages, photos, videos, music, apps, etc. to the PC and Mac and manages the files from one point. It makes the functions of your phone simple when can be able to manage the text messages and given the provisions of group texting on the computer.